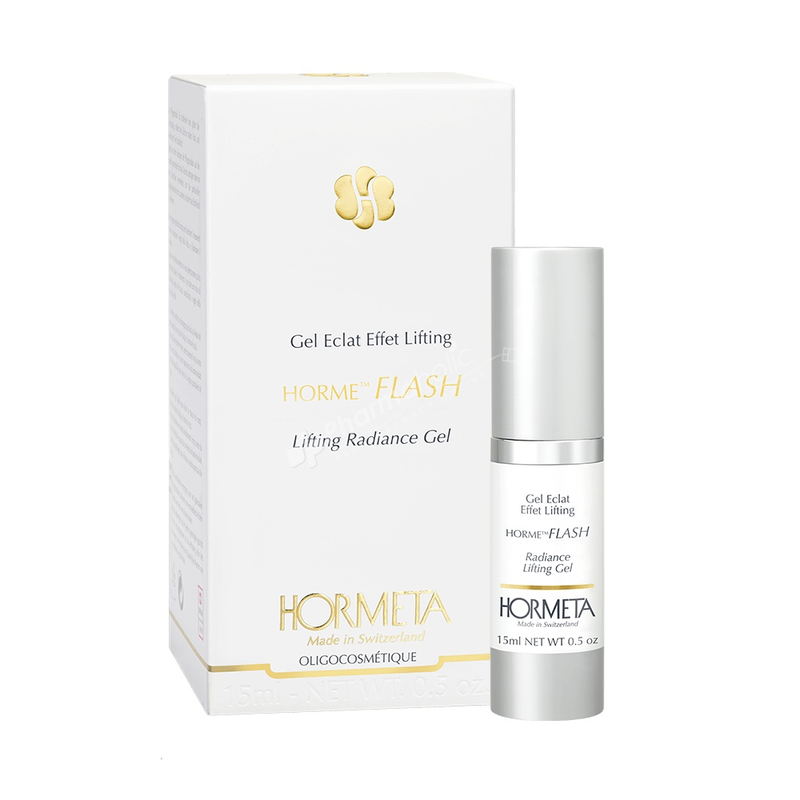 Hormeta HormeFlash Lifting Radiance Gel is an instant effect to smooth skin and erase the signs of tiredness while brightening the complexion. For an instantly radiant and beautiful skin. An instant effect to smooth skin and erase the signs of tiredness while brightening the complexion. For an instantly radiant and beautiful skin. Instant result. Skin is smoothed, wrinkles and fine lines are diminished. The signs of tiredness are reduced and the complexion is radiant. The magic of the formula : a targeted firming complex and an extract of organic witch hazel, combined with HORMETA’s specific trace elements complex. Dual use: in daily care or for an instant radiance effect. Apply daily on your thoroughly cleansed face before your skincare routine, or for a rejuvenating effect before applying makeup to eliminate occasional signs of fatigue.